Converting in 16X speed, keeping ID tags and chapter in the converted Audible audio books and the ability to convert all kinds of audiobooks make Audible AudioBook Converter for Mac unparalleled when you want to remove DRM from purchased Audible audio books to play them anywhere. Audible AudioBook Converter is a powerful audiobook converter to convert any audio books that could be played on iTunes – Audible or iTunes Store audio books. 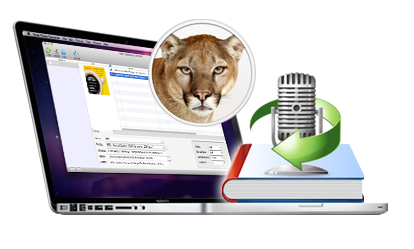 Powerful and professional Audible AudioBook Converter for Mac helps you to remove DRM from iTunes audio books, Audible audio books. 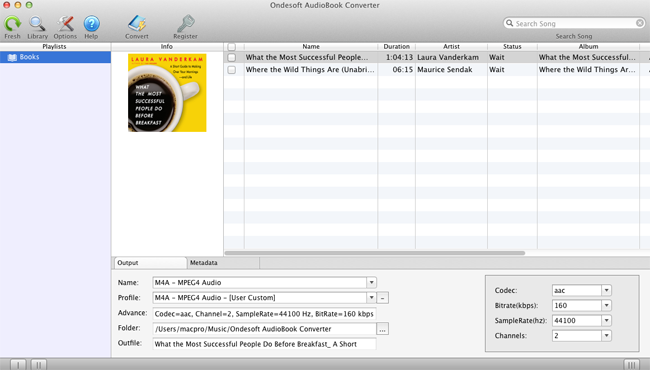 With Audible AudioBook Converter for Mac you can enjoy all audiobooks on your Zune, Sony Walkman, mobile phones and many others. Convert .AA to MP3, M4B to MP3, M4A to MP3, .AA to M4A, M4B to AAC and many others – get audiobooks of any format - not just a DRM remover. User-friendly program to preserve Audible audiobooks ID tags – no difference with the original Audible audio books except format and DRM protection. When the output format is M4A, the original chapters of the Audible audiobook can be preserved. Some Audible audio books can be very long, but it won’t take you much time to convert these audio books, since Audible audio books are converted at up to 16X speed. Too much Audible audio book to be converted and don’t want to wait? That’s easy: one click to select them all and convert in batch. Sit back and just enjoy the converted Audible audio books later.